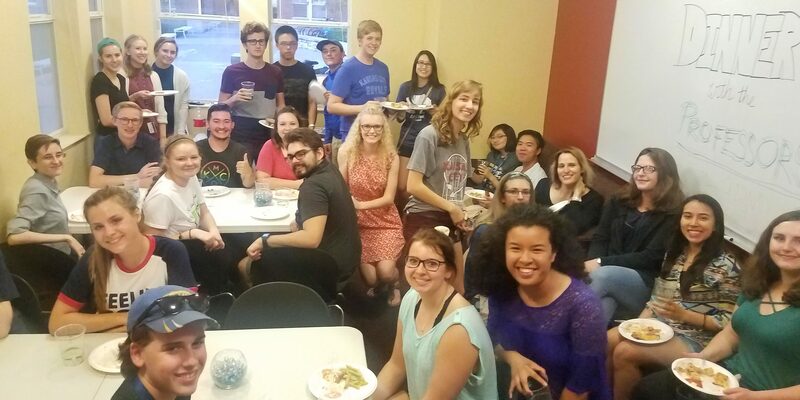 The Honors College, in collaboration with Residential Life, hosts a Living-Learning Community located in UMKC’s Oak Street Residence Hall. In this community, honors students live and learn together through honors courses, special programs and events, informal interaction with Honors College faculty, social activities and community service. The program builds a cohesive community among the honors students, promote student and faculty engagement and provide continuity of the intellectual learning experience outside of the classroom.